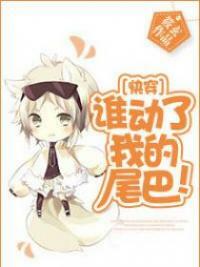 You’re reading novel Trial Marriage Husband: Need to Work Hard Chapter 108 online at LightNovelFree.com. Please use the follow button to get notification about the latest chapter next time when you visit LightNovelFree.com. Use F11 button to read novel in full-screen(PC only). Drop by anytime you want to read free – fast – latest novel. It’s great if you could leave a comment, share your opinion about the new chapters, new novel with others on the internet. We’ll do our best to bring you the finest, latest novel everyday. Enjoy! Tangning contemplated for a moment before nodding her head, "I didn't receive an invite, so...what ident.i.ty will I be going as?" "Lu Che has already prepared everything...the event will be at 7pm tomorrow night, don't be late." Tangning lay on Mo Ting's chest. Because of the intense activity they had just completed, she was extremely tired. Not long after, she closed her eyes and fell asleep. Mo Ting gently stroked Tangning's back and placed a kiss on her forehead. He stared at her closed eyes for a little while before reaching out his hand to turn off the bedside lamp and falling asleep with Tangning in his arms. Why did Mo Ting insist on attending with Tangning? It was because he knew Cheng Tian Entertainment's CEO, Lan Xi, would also be attending. If the auditions were to be held by Yang Jing, then she would definitely prevent Tangning from succeeding. So he decided to let Tangning declare her intention in front of Lan Xi, in case she got rejected by Yang Jing before her portfolio even reached her. As her husband, and as the only person she could rely on, Mo Ting had to make the best of every situation. Whenever he saw an opportunity for Tangning, he would take it. Of course, Mo Ting's thoughts were correct. While entering candidate details into the system, Cheng Tian's HR team noticed Tangning's portfolio. One of the HR staff excitedly handed the information over to Yang Jing. Yang Jing called the staff member into her office. Holding Tangning's portfolio in her hand, she looked at the staff member through her black-framed gla.s.ses. The look in her eyes were cunning and calculative, "Although I also feel it is a shame, the truth is, Tangning is too old; she does not comply with our selection criteria. So...I know it is harsh, but we will need to reject her!" Hearing this, the staff felt like she had been put in a difficult position, "How about we ask President Lan first?" "No need. A small matter like this, even if it goes to President Lan, would end up with the same result. Don't bother her." After speaking, Yang Jing shredded Tangning's portfolio and threw it in her rubbish bin, "Also, this matter, don't tell anyone about it for now. Tangning is currently being fought over by multiple famous agencies. Since we won't be accepting her, we don't want to humiliate her. Understood?" "Yes, I understand," the staff member nodded her head before leaving the office. Although the staff member agreed verbally, inside she still felt, Yang Jing's reasoning was a bit far-fetched...but she couldn't figure what was wrong. Under these circ.u.mstances, the staff member still felt uneasy. So she decided to go to Luo Hao's office. Seeing he was busy with work, she originally decided to leave, but Luo Hao stopped her, "What is it?" "You see, Mr. Luo, earlier today I received a portfolio from Tangning. But, Miss Yang claimed Tangning was too old and shredded it up. I've seen Tangning on the runway before and I feel it is a bit of a shame for Miss Yang to do that," she replied honestly. Upon hearing her response, a sneer appeared across Luo Hao's face. He knew Yang Jing would do something like this, he just didn't expect she would directly reject her. It seemed, Tangning had not taught her enough of a lesson. However, Luo Hao did not intend on helping Tangning. Since Tangning was fated to meet the evil Yang Jing, he was going to let them fight among themselves. If Tangning handed her portfolio in even though she knew Yang Jing was at Cheng Tian, then she was really not worth paying attention to. So, after staring blankly for a moment, he finally responded, "I don't think what Yang Jing said is wrong." The staff member did not expect him to answer in this way, but in the end, she still accepted it, "In that case, I'll go delete her details now." "No need to delete it. Since it is part of the normal selection process, then leave it as it is. Tangning is indeed too old, but it's not like she has anything to hide. Just reply to her by email as usual; she still deserves a bit of respect." The staff member had no idea what he had planned; all she could do was smile as she nodded her head. It was obvious, although Yang Jing had stolen his job of auditioning newcomers, the staff still trusted Luo Hao more. As soon as Cheng Tian sent their reply, Mo Ting saw it. ...Tangning was rejected. The reason for rejection was that Tangning had surpa.s.sed the age limit and did not comply with Cheng Tian's selection criteria. Mo Ting stared at the computer screen as he let out a laugh. No matter how crazy Lan Xi was, she would never reject Tangning. So, obviously, Yang Jing must have done something behind her back. It was exactly because of this that he had asked Tangning to attend the charity event with him. Not long after, Mo Ting phoned Tangning and told her to look at the email. 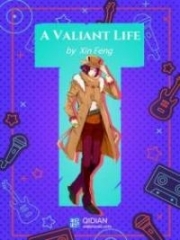 Upon seeing the reason for her rejection, Tangning couldn't help but scoff. "This is the last round of applications, if you are rejected, you won't even get the chance for an interview. Tonight, Lan Xi will also be attending the charity event." Hearing his words, Tangning immediately smiled, "President Mo, on the surface, you keep telling me that you'll wait for me to grow. But, in reality, your heart is focused on being my manager." "Wait until you have a manager...let's see if I will still care about your issues." "Of course you will," Tangning didn't believe that he would let go. "You won't be able to bear seeing me suffer." Mo Ting smiled as he placed his hand to his forehead helplessly, "Leave a little earlier tonight, don't be late." "I know." After giving her response, Tangning hung up the phone as she fell into deep thought. So, Lan Xi will be there as well? Firstly, she had to think of a way to personally get in contact with Lan Xi. Since Yang Jing stood in her way, she had no choice but to look for Lan Xi directly. Although...Lan Xi may not necessarily pay attention to her, but without trying, she wasn't going to give up. 6pm. Tangning was dressed formally as she approached the location Mo Ting had given her with Long Jie; she entered as a newcomer. At the same time, Father Five, who had also been invited, was right behind her. Seeing this little model advance so quickly, he felt it was a little hard to accept. In reality, all those invited today were mainly successful entrepreneurs and philanthropists; there weren't many actors or singers, let alone models like Tangning. It was because most of the guests had influential backgrounds that there were also a lot of socialite ladies; they only agreed to attend because they wanted to meet Mo Ting. Lan Xi arrived with Luo Hao by her side. Although Tangning kept a low profile, Luo Hao spotted her sitting in her seat straight away. As expected, Tangning wasn't going to be suppressed by Yang Jing. However, Luo Hao was curious how she was going to strike up a conversation with Lan Xi. As for the Mo Ting that everyone was antic.i.p.ating...where was he to be seated? 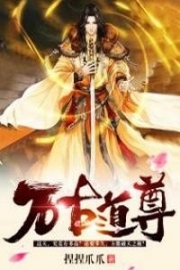 You're reading novel Trial Marriage Husband: Need to Work Hard Chapter 108 online at LightNovelFree.com. You can use the follow function to bookmark your favorite novel ( Only for registered users ). If you find any errors ( broken links, can't load photos, etc.. ), Please let us know so we can fix it as soon as possible. And when you start a conversation or debate about a certain topic with other people, please do not offend them just because you don't like their opinions. You're reading Trial Marriage Husband: Need to Work Hard Chapter 108. This novel has been translated by Updating. Author: Passion Honey, 百香蜜 already has 5976 views. Current Time is Apr-21-2019 16:34:26 PM.